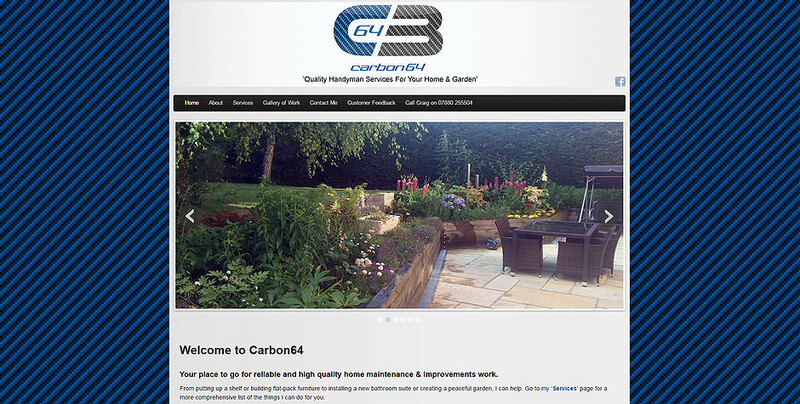 A local Leicestershire handyman’s carbon website design. 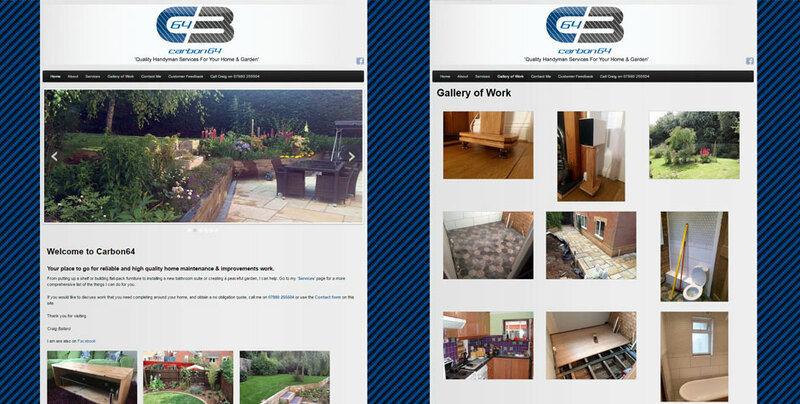 The brief was to design a website based on the theme carbon, coal, blue and the number 64 as these are significant in the companies name makeup carbon64. 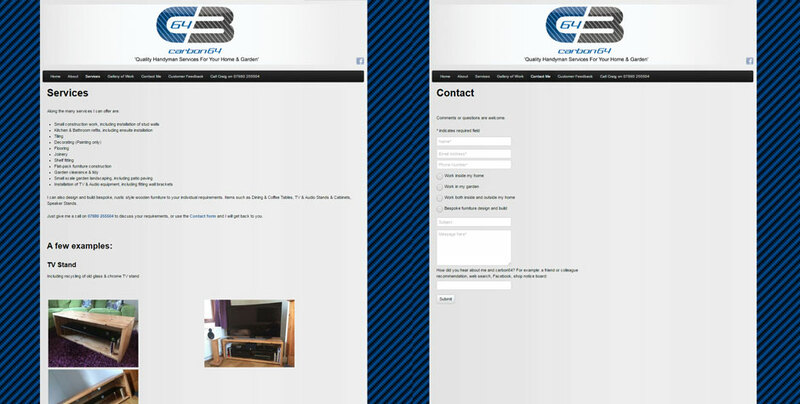 Use the colours of the following to create a modern fresh website.